The HS2000 provides automated optical inspection at high speeds (up to 1m/s & data acquisition up to 31KHz) for quality control applications where speed and large areas or multiple measurements is critical. The HS2000 with its granite base and air bearing stages provides superior stability at high speeds for flatness measurement. 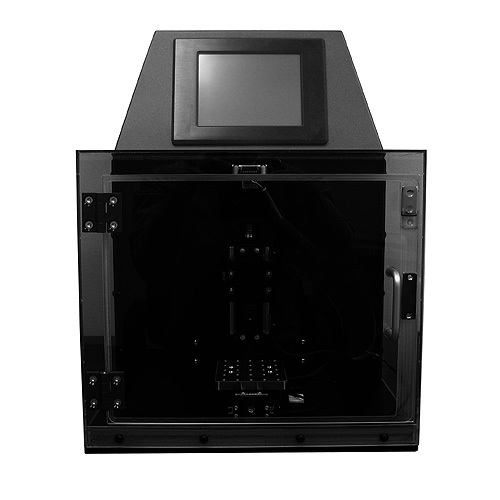 Comes with an enclosure and workstation to create a fully contained stand-alone instrument. The HS2000 equipped with a line sensor can inspect at speed of up to 200 times faster. Designed for stable high speed flatness measurement, advanced automation and customizable options.